Mpact has a systematic sustainability reporting process that entails setting of targets and recording of performance against key indicators such as safety and environmental targets. As pressure on natural resources grows due to population growth and industrial expansion it is crucial that we measure, understand and manage our impact on the environment. A growing focus on economic, social and environmental issues as they impact on business has shaped our approach to sustainability. Our approach has been to integrate these fundamental business practices alongside our three strategic pillars as explained in Strategy and Objectives of the Integrated Report, while creating long-term value for our stakeholders. Mpact’s three key pillars of the business strategy are leading market position, a customer-focused operating structure and a focus on performance. 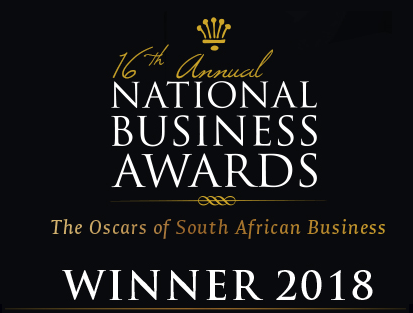 As part of the overall optimisation strategy, business excellence programmes have been established to focus on efficient operational performance and asset management targeting continuous operational improvements. Mpact’s commitment to sustainability is thus embedded in the way we work by adopting leading industry health and safety standards; obtaining responsibly sourced raw materials; and ensuring the business constantly seeks to reduce its environmental impact. Specific targets for the Paper and Plastic business are available and explained in more detail on Material risks and opportunities of the Integrated Report, available on Group’s website. Stakeholder engagement is also a fundamental tenet of our approach to sustainability, guiding our efforts, objective setting and ability to achieve measurable results on our performance. Our stakeholder engagement and value-added statement are set out on Stakeholder Engagement of the Integrated Report. Policies and procedures are in place to guide all significant aspects of the business including corporate vision and values, safety, health, environment and energy, ethics, transformation, procurement, human resources, financial management and maintenance. These policies set the framework within which Mpact manages its business and, together with its Code of Ethics, provide a blueprint for employees, suppliers and partners to ensure a co-operative, co-ordinated approach. This commitment is outlined in the Vision and Values set out in the 2016 Integrated Report. The Social and Ethics Committee Report of the Integrated Report. There is also an open channel for those wishing to express their views by emailing Mpact at info@mpact.co.za with comments and suggestions.